Sorry, no review of Donkey Kong Jungle Beat yet. 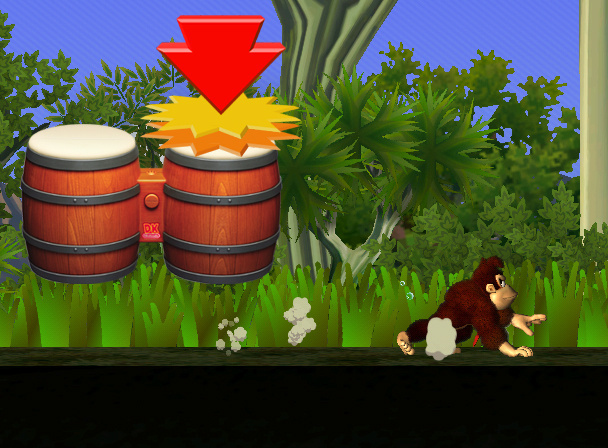 Feel the beat of a completely new Donkey Kong® adventure as you drum your way through vast jungle kingdoms! 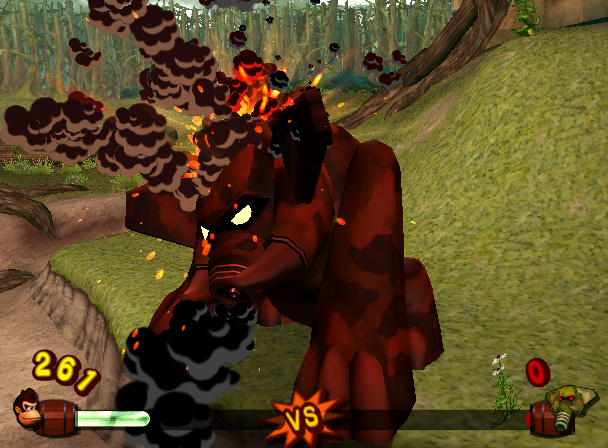 An action/adventure game like no other! 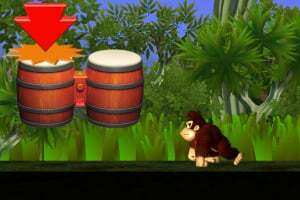 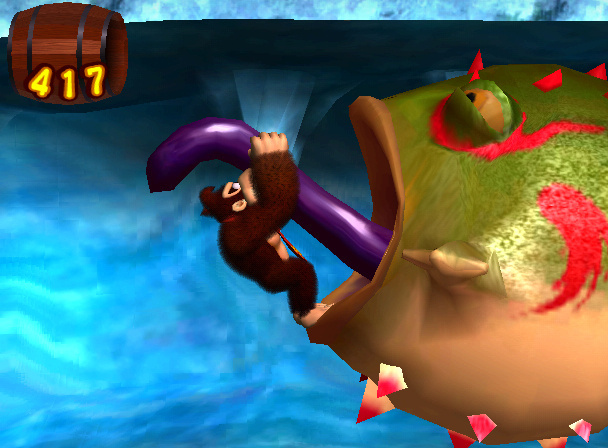 Grab a DK Bongos Controller and use it to guide Donkey Kong through wild jungle environments brimming with ravenous enemies and challenging obstacles. 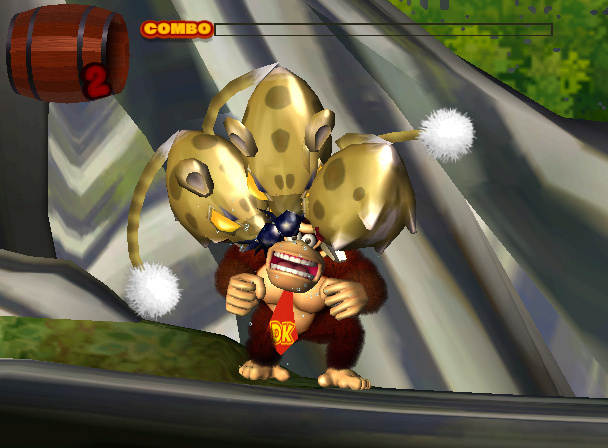 Control is in the bongos! Tap the right drum to walk right and the left one to walk left. 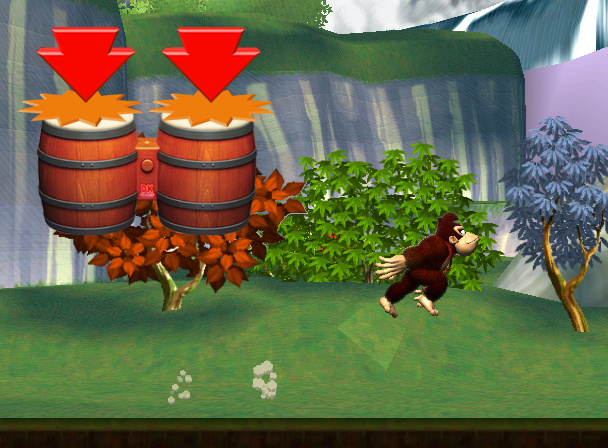 To run, you’ll have to play a drum roll, and whacking both drums at once makes the great ape jump. 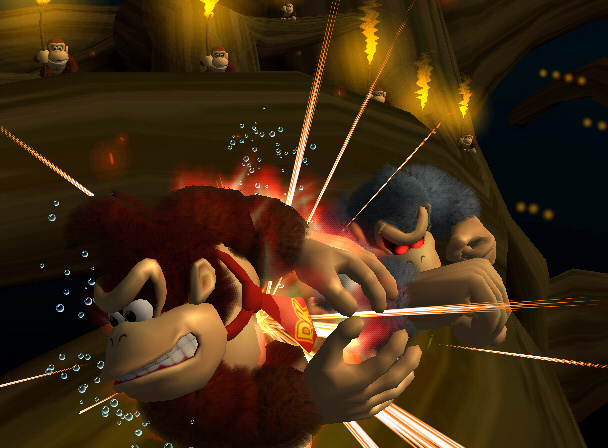 Clapping or tapping the sides of the bongos makes Donkey Kong emit destructive sound waves and a slew of other things! 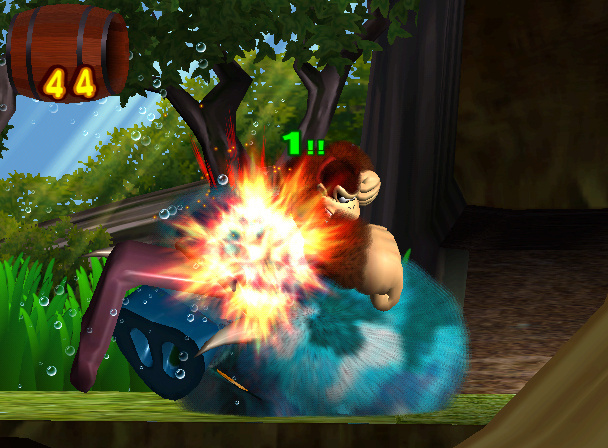 This jungle's gone wild! 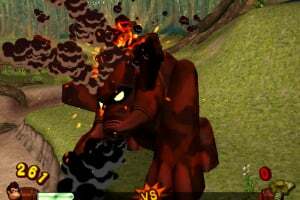 Battle enormous beasts, collect bananas, put together combo strings, get in boxing matches with rivals and even ride animal pals! 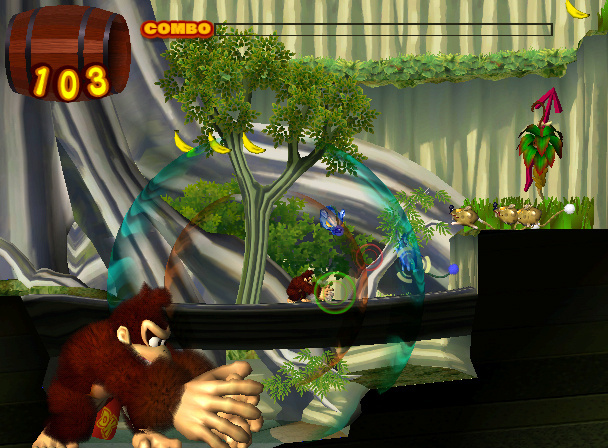 Game Storyline: With the aid of simian pals like Hoofer, Flurl and other jungle animals, Donkey Kong must square off with all kinds of evil apes, warthogs and giant birds as he reclaims his bananas. 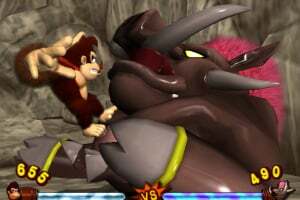 Characters: Donkey Kong, little monkey pals, animal friends (Hoofer the wildebeest, Orco the killer whale), evil apes, angry warthogs. 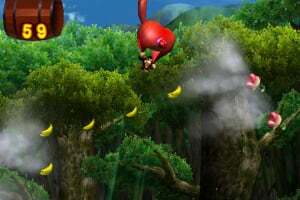 How to progress through the game: Run, jump, swim, battle, swing on vines and collect bananas as you explore beautiful side-scrolling environments that span volcano caves, snowy peaks and fantastic skyscapes. 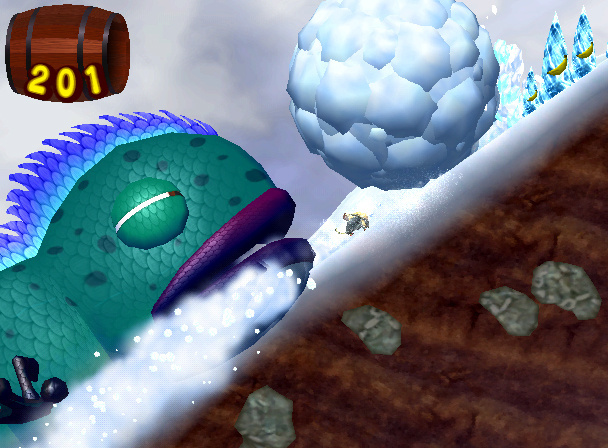 You’ll also have to hitch rides on parrots and killer whales, bounce off pinball-like obstacles and battle tons of bizarre enemies! 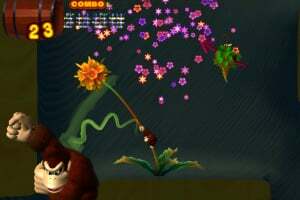 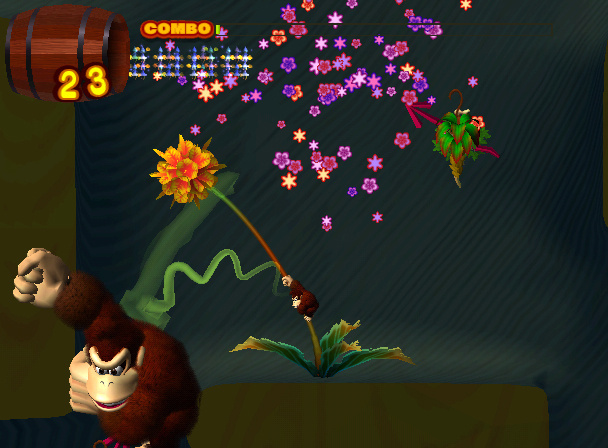 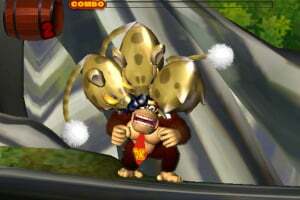 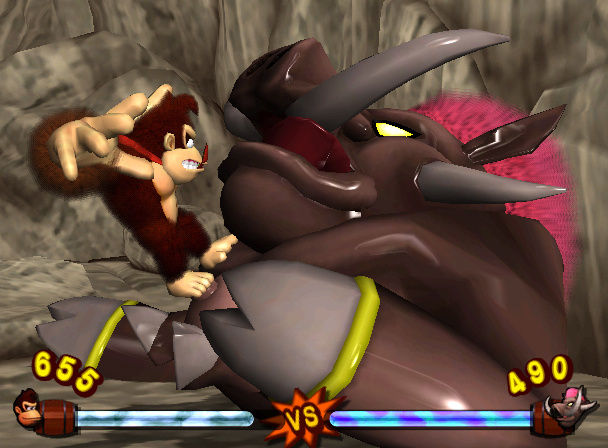 By linking together moves to build up combo strings, you can collect more and more bananas. 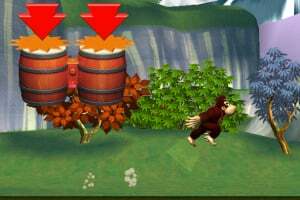 The more you collect, the better; you can earn bronze, silver, gold and platinum crests on each level, and collecting crests will open up more and more levels. 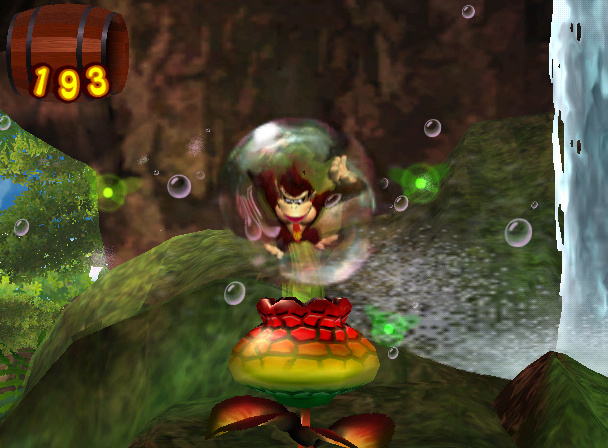 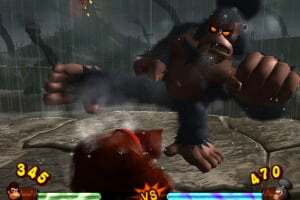 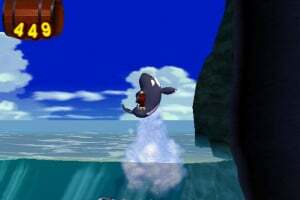 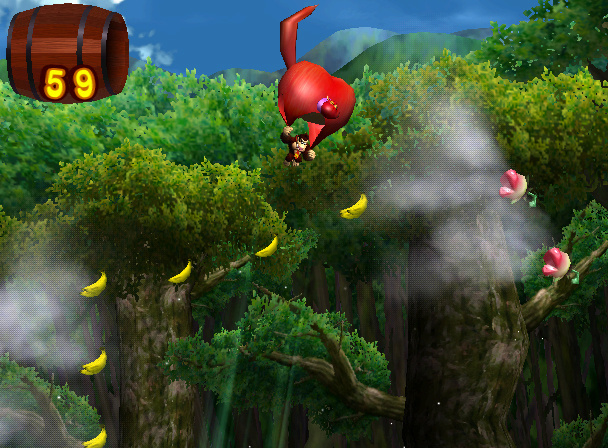 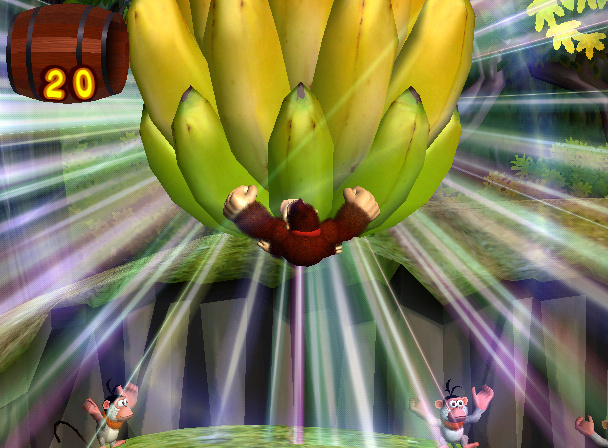 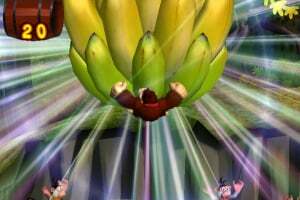 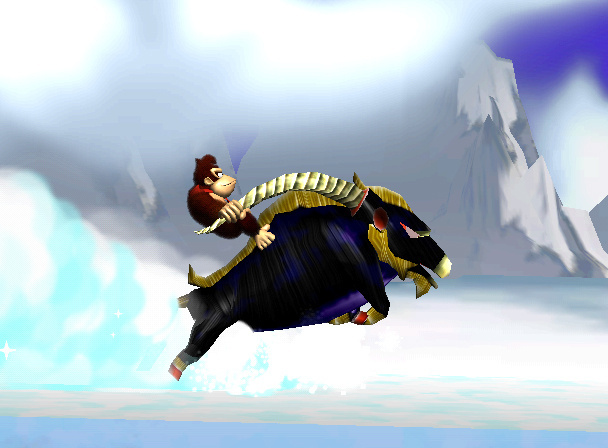 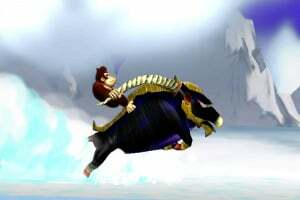 Special powers/weapons/moves/features: When the player claps, Donkey Kong emits sound waves that can stun enemies, grab bananas or even help him activate things. 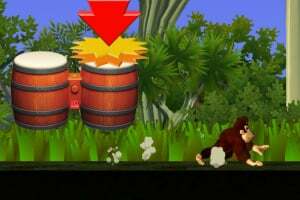 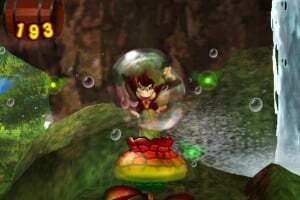 By tapping the drums correctly, you can make Donkey Kong jump off walls, kick items, twirl through the air, ride animals, swim through water, pound the ground, spar with apes and giant warthogs and many other things. 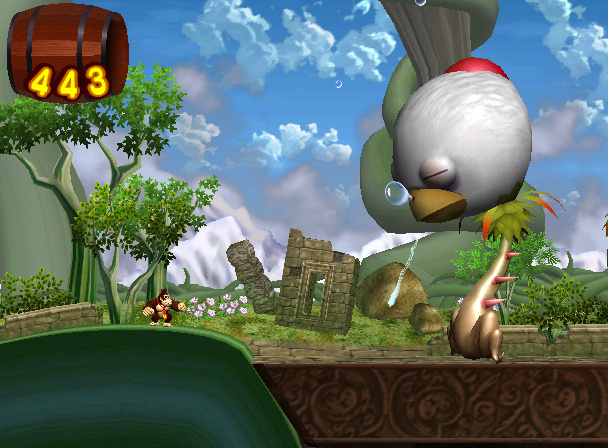 A friend can even help you play the game by clapping at the appropriate times! 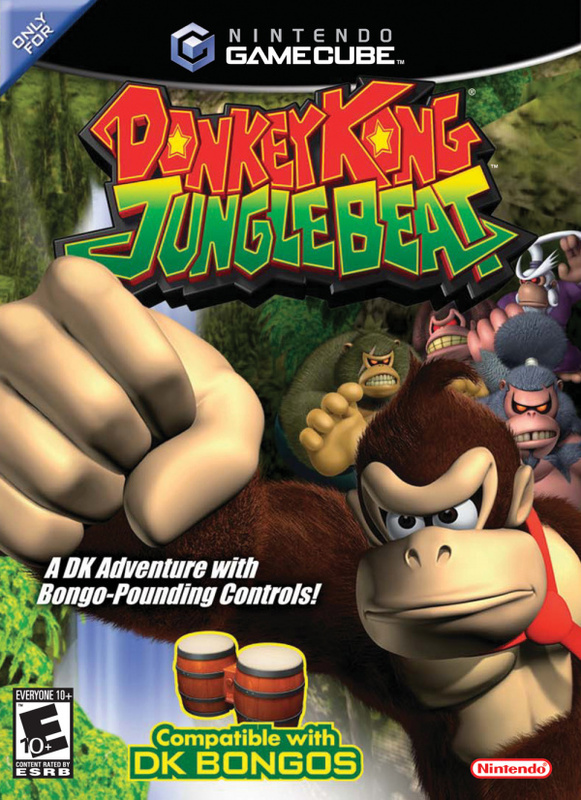 This game looks pretty good, but I don't have the drums for it. 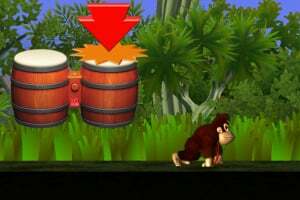 Is it anygood without the drum? 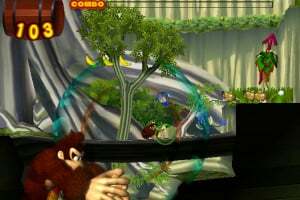 That had some awesome graphics...but the gimmicky controls were a bust, not good at all. @Supermarioman: yes, you can use the regular gamecube controler. 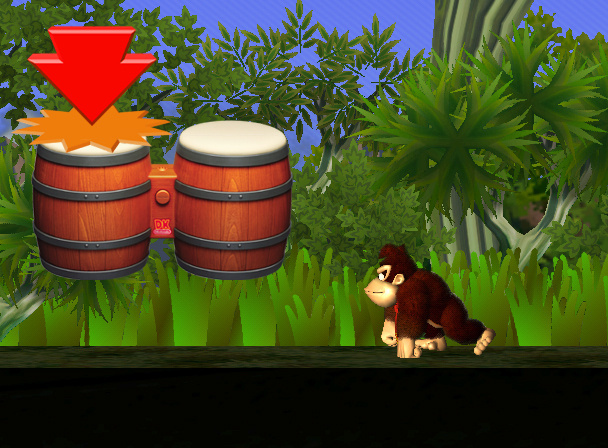 The C stick replaces the drum. 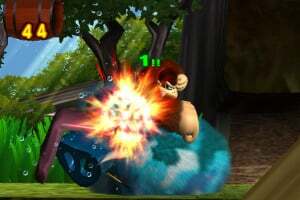 The A button replaces the clap. 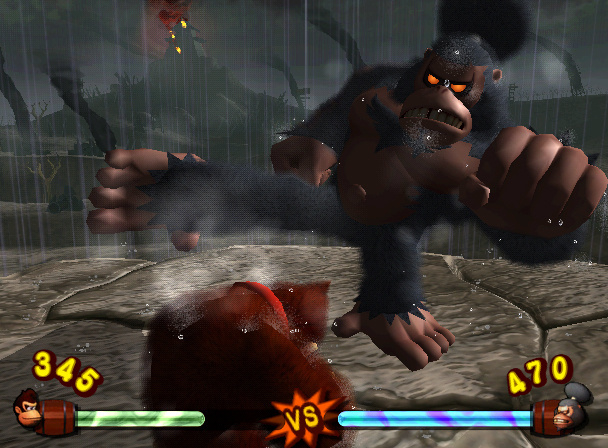 I cleared the whole game by using only the gamecube controler. 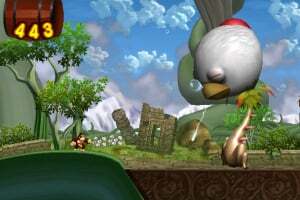 This game was hard to play. 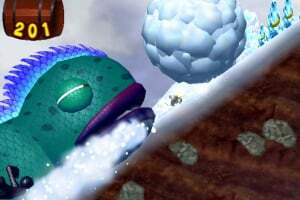 I never beat the first level.